Women Of Aviation Worldwide Week is a global outreach initiative that takes place annually during the week of March 8, to raise awareness of aviation opportunities available to girls of all ages while celebrating the accomplishments of past and present women of aviation. The Queensland Group of the Australian Air League travelled to the Sunshine Coast Airport to take part in this event with the local Sunshine Coast Aero Club. The Air League is planning to open a new Squadron on the Sunshine Coast in 2017 and this was a perfect time to meet the local Aeroclub and community. On the day the Aeroclub flew 57 girls and women, sparking their interest in aviation with many now keen to pursue it either as an interest or as a career – a great result and a worthy cause. The event was covered by Channel 7 and the local radio station which should give some great press to the Air League. There was a good deal of interest on the day, and coupled with other interest received will have more than enough potential members to look at starting up a Squadron on the Sunshine Coast, with the first step being to organise a public meeting in the near future. 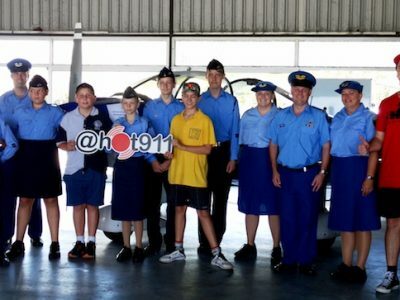 Our cadets members received a great deal of praise and compliments on their turnout and behaviour from the Aeroclub Members and the general public, including the representative of the ‘Sunnykids’ organisation, which assists at risk youth on the Sunshine Coast, who went out of her way to compliment our cadets. All were great ambassadors for The League and we are justifiably proud of them and the credit they have brought to the League and Queensland Group. Many thanks go to the Officers and cadets of Forest Lake and Strathpine Squadron for their attendance and support for the proposed new Squadron, and a special thanks for the Officers and cadets from Bundaberg and Hervey Bay Squadrons who travelled over 7 hours to support and participate in the event. The Aeroclub were magnificent hosts and couldn’t do enough to make us feel included and welcome. Special thanks go to Francine and Adrian who were especially welcoming, attentive and helpful. Francine also did a fantastic job of coordinating the flights. If you would like to learn more about the proposed new Sunshine Coast Squadron, contact Todd Oakley at gexc.qld@airleague.com.au or 1800 502 175.